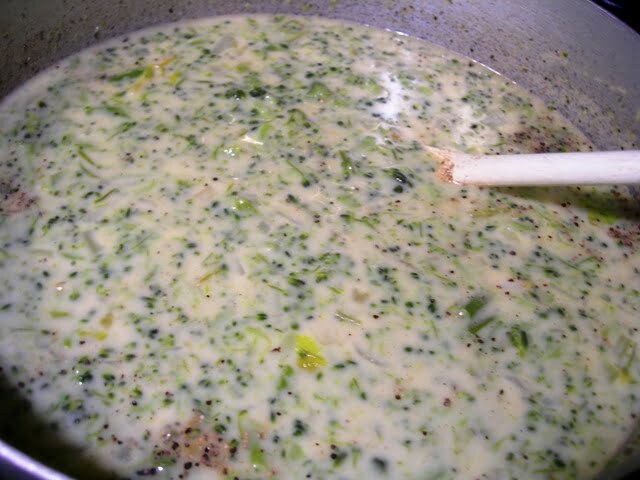 Yesterday the weather turned chilly so I decided to make some broccoli cheese soup for dinner. 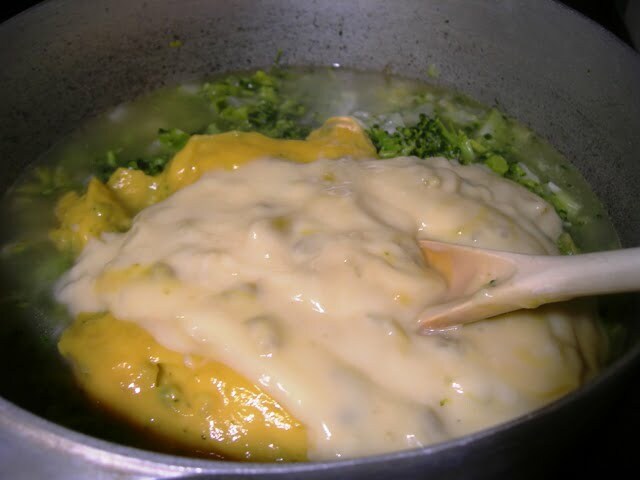 I had not planned on sharing my recipe for this broccoli cheese soup, but my sister-in-law Jean insisted that I do. You see, I had made some of this soup last week because we have this growing in our garden. I’ve made this soup so many times that I really didn’t think that it was that special. So Jean, and anyone else who’s interested, here is how I make it. 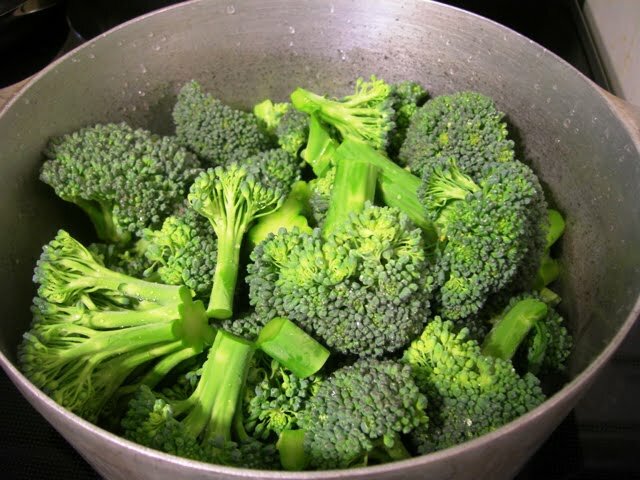 I take about 3 heads of fresh broccoli, wash it, cut the florets off, and put it in my magic pot. (I’ll post about that later!) Then I add about 2 cups of water to the pot and turn the heat on high. 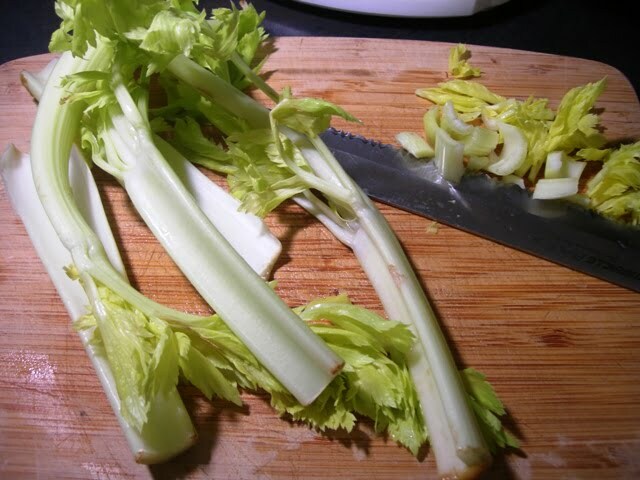 3 or 4 stalks of celery. I chop the leaves, too. 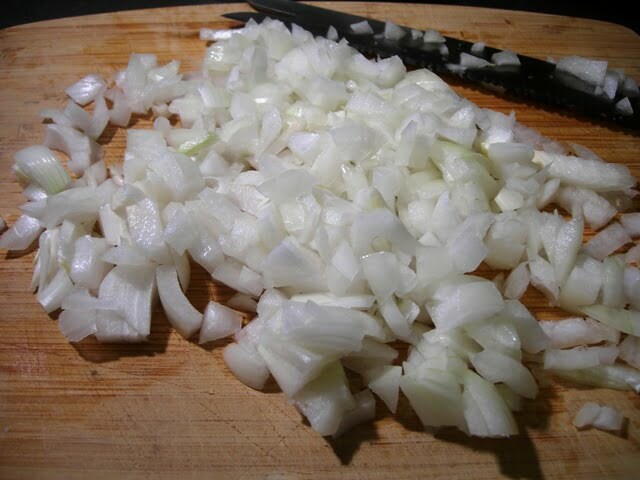 Melt 4 tablespoons butter in a frying pan and saute the onions and celery on medium heat. 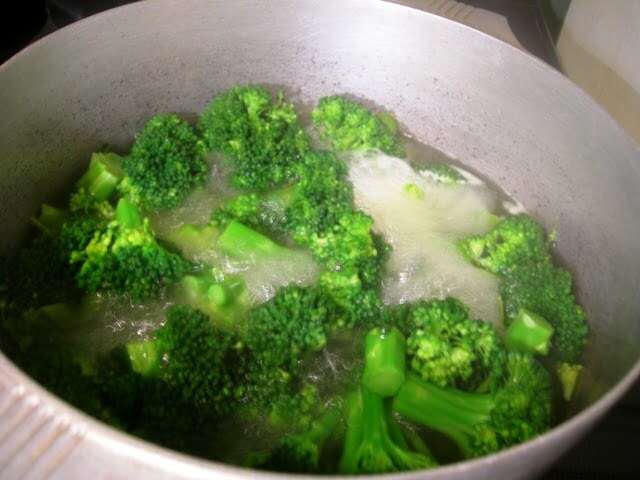 By this time, the broccoli should be boiling. When it is soft and tender, I chop it into smaller pieces by using this. 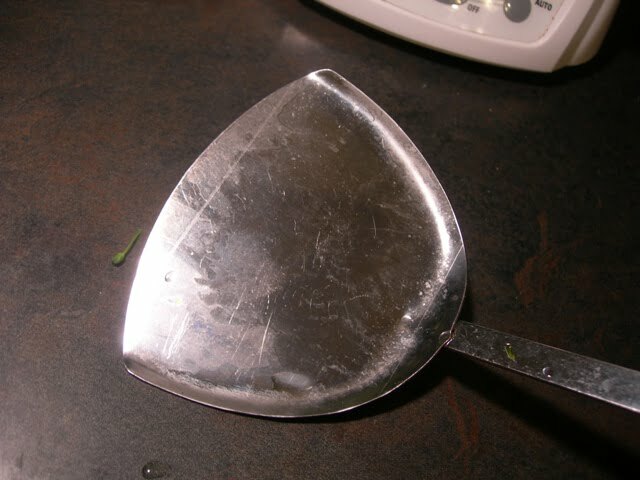 This is a flat-edged metal spatula. If you don’t have one, you could use an immersion blender. 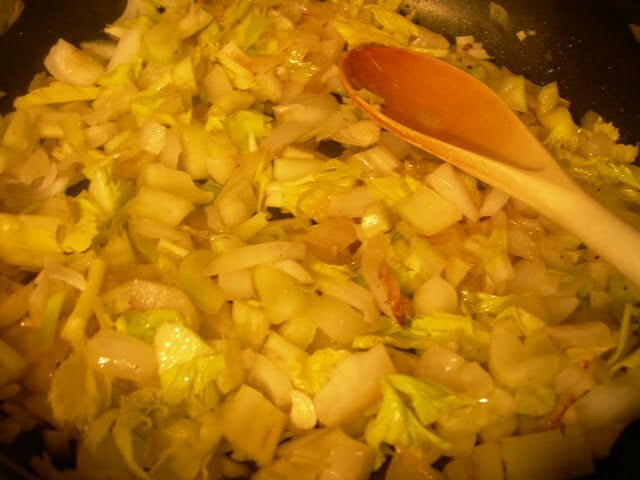 add the cooked onion and celery to the pot. Then I open 2 cans of this. Notice that I’m using the fat-free versions. Have to counter those 4 tablespoons of butter in some way! 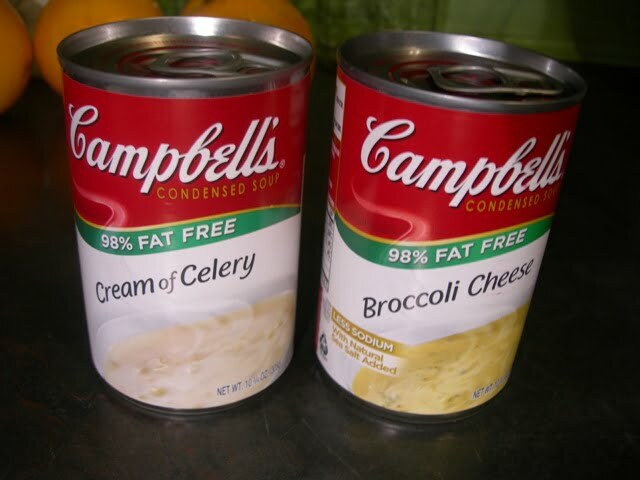 Add both cans of soup to the pot. 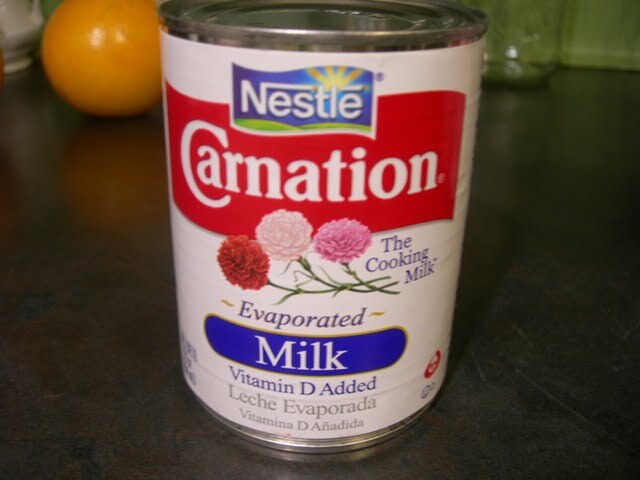 Next, I turn down the heat to low and add about 1/2 can of evaporated milk. Sometimes I add regular 2% milk, but I think the evaporated milk makes the soup extra creamy. At this point, I add some seasoning to my soup. I use about 2 tablespoons each of garlic salt, celery salt, and black pepper. 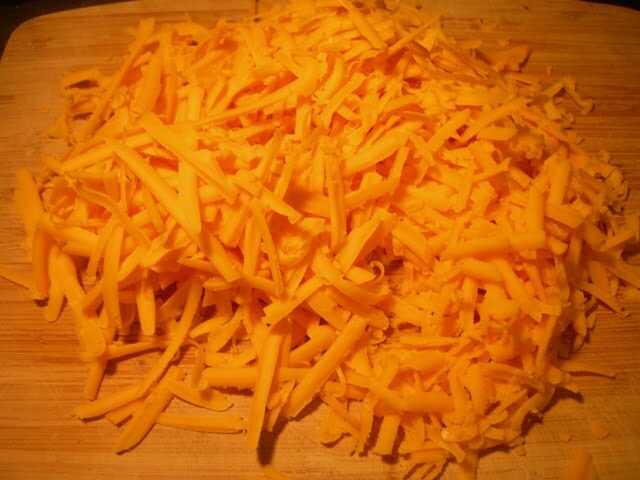 I put the lid on the pot and let the soup cook for a few minutes while I grate about 2 cups of cheddar cheese. 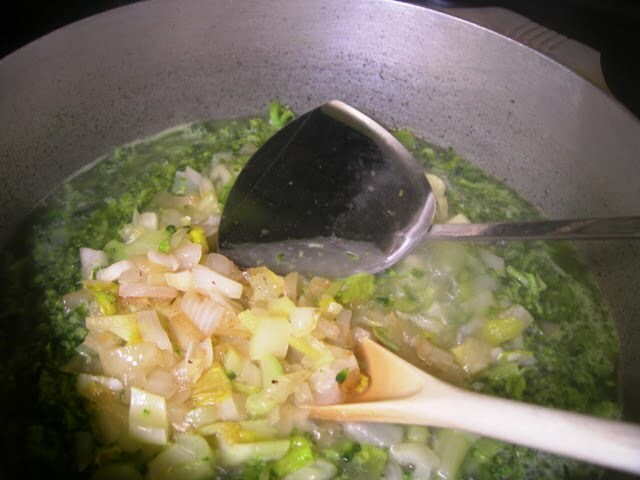 It’s the cheese along with the fresh from the garden broccoli that makes this soup special. Remove the lid and stir in the 2 cups of cheese until it’s melted. If you think your soup is too thick, add a little more milk. But we like ours thick and creamy! 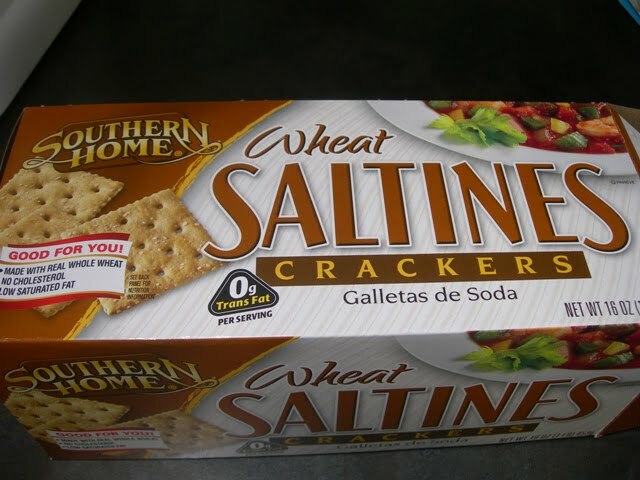 Last night we ate ours with these wheat saltine crackers. Have you tried wheat saltines? This is the store brand of Bi-Lo. In our effort to eat healthier, we tried these about a month ago and discovered that they are delicious. Tonight I made some wheat bread to eat with our soup, and the soup tasted just as good the second day as when it was freshly made. I’m going to be serving this soup on Thanksgiving Day. Hope you guys like it as much as we do! 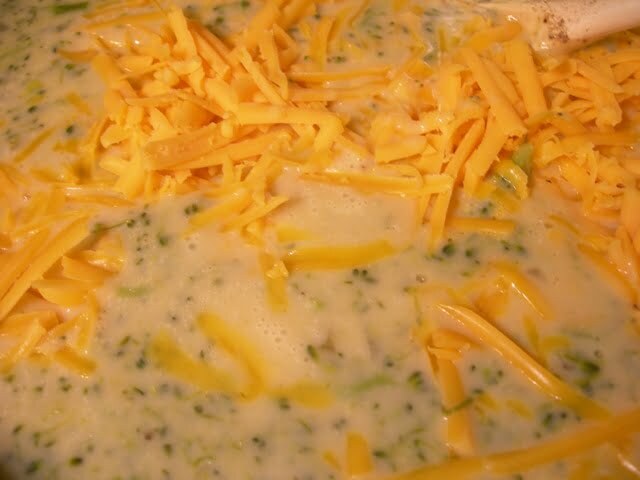 Is there a way of getting a print version of the Brocoli Cheese Soup recipe? Yum!!!! I’m so glad you were nudged into sharing the recipe with us! 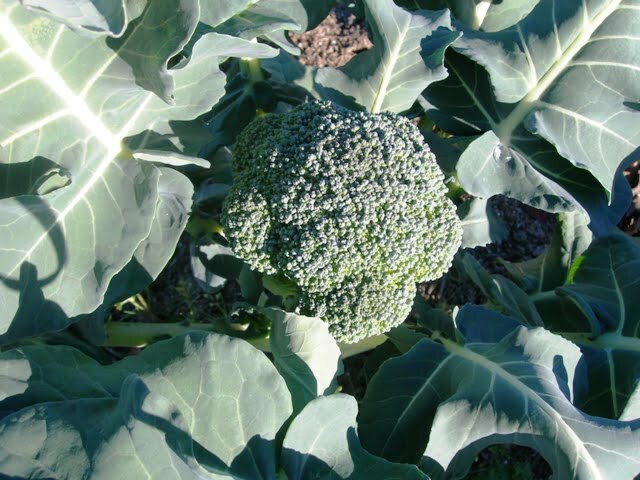 Hi Jane, we have broccoli growing in our fall garden, also. 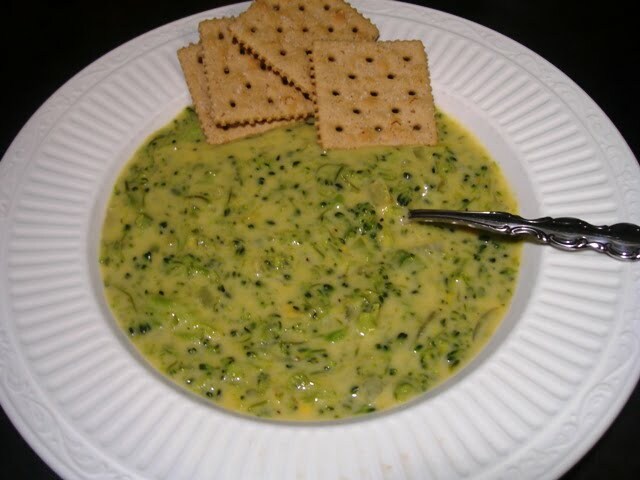 I LOVE broccoli/cheese soup! I will have to give your recipe a try, it looks delish. Thanks for sharing, and have a wonderful Thanksgiving. This sounds so good! Can’t wait to try it! Wow! Love your recipes and all your recent posts. Your newly acquired china is beautiful. I bet your Thanksgiving meal is going to be wonderful. Keep the great posts coming! This soup warms my heart! I will have to give it a shot! I grew broccoli one year and couldn’t believe the difference , the freshness, from store bought. I bet that makes all the difference in your soup. Thanks, Jane! Thanks for the broccoli soup. We may all have a recipe but yours is always good. Thanks Jane for all your hard work. 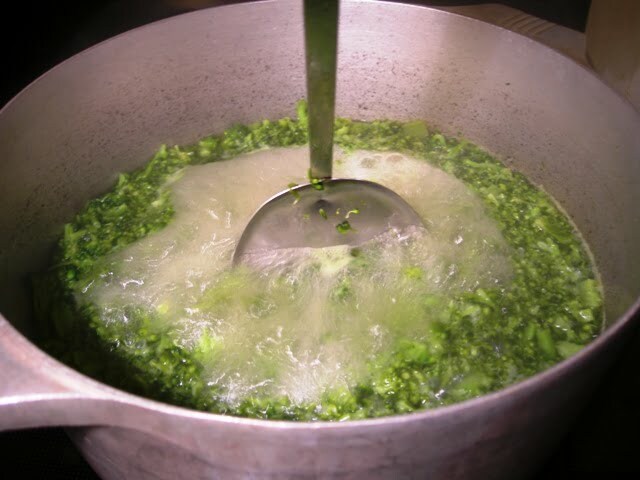 thanks my favorite soup ever…This is a good way to make it and so smart to do it this way fresh ingredients and yet it is pretty easy to do. nice on a chilly November day like today. My son made me breakfast this morning, for my birthday he is my youngest and the only son still here in the home nest. Im so happy I have him, even though he was a surprise baby given to me when I was 40 yrs old. He is a true blessing. The perfect cold weather soup its on the menu for lunch today! Have a great Thanksgiving! This is one of my favorite soups! Yours looks delicious! Wow, sounds and looks yummy. I love wheat crackers but probably am counteracting any health benefits by how many I eat. This has me drooling! Will be making this soon! Thanks for sharing this recipe with us!